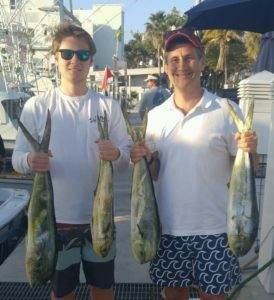 We continue to have opportunities at quality fish on our Deep Sea fishing charters here in Fort Lauderdale. 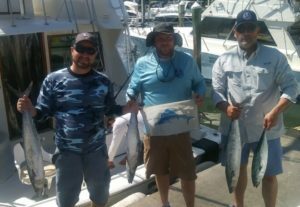 As you can see by the photos of recent anglers that have fished here with us aboard the “Marlin My Darlin” there have been Sailfish, Mahi-Mahi and Blackfin Tunas off the edge of the reefs. There are also some Kingfish on the inside and good sized Albies (Bonito) continue to be inside along the reef lines as well. 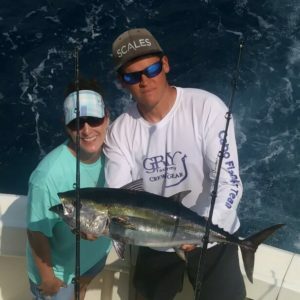 Our main approach to the fishing continues to be trolling natural and artificial baits both on the reefs and also offshore out in the deeper water. Covering water has been a good choice as opposed to sitting with live baits as the fish do continue to be “well distributed”, a term coined by my good friend Alan S, meaning that they could be anywhere. 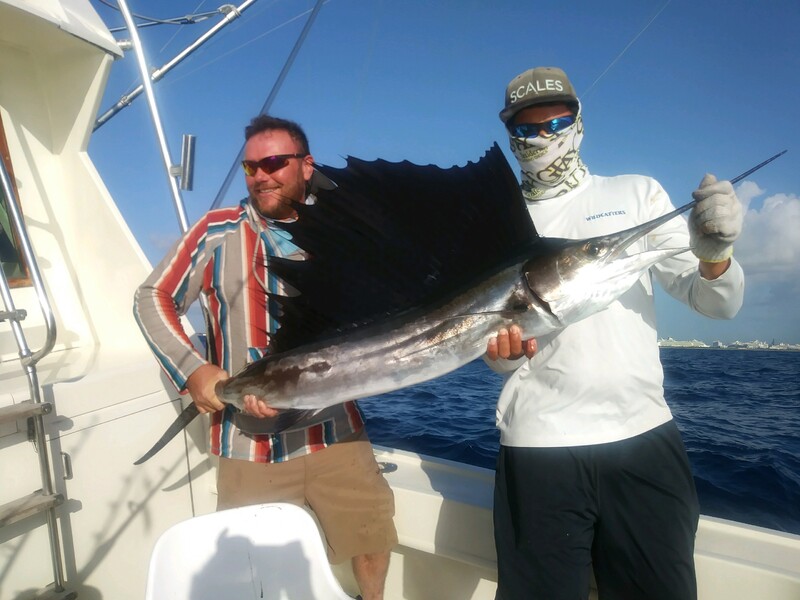 So if you wish to target a Sailfish live baiting is of course a good choice, just be prepared to sit and wait, as many fish are “well distributed” right now and trolling will draw the most bites and therefor the most action by moving with baits presented in various depths in the water as progressing to and from various spots.